At Chavarria’s Plumbing, Inc., we provide a full range of commercial plumbing services, from remodeling, renovating and new construction plumbing to plumbing repairs and emergency assistance. When it comes to plumbing services, there isn’t much we can’t do. After all, we have been offering plumbing repairs and installing plumbing in office buildings and businesses for almost three decades. Plumbing problems can interrupt your business in many ways from decreasing employee productivity and deterring customers to worst case scenario forcing you to temporarily close down. 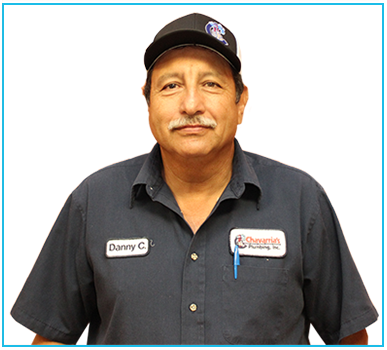 At Chavarria’s Plumbing, Inc., we understand time is money for you, and we won’t waste yours. From drainage issues to pipe leaks and clogs, we act quickly to restore your plumbing to its normal functionality. Our crew is available 24/7 for emergency repairs, and we will arrive to your business as quickly as possible. With years of experience under our belts, we understand the hazards plumbing problems can present. When you hire us, you can expect us to fix your plumbing problems the first time around. Unlike other plumber contractors who overcharge clients for repairs, we always charge a fair and competitive rate for all of our commercial plumbing services. If your business needs new or updated plumbing fixtures, call in our crew for complete plumbing installation service. Whether you are opening a brand new business or your current fixtures are starting to become dated, you can rest assured we provide the best service and equipment possible. Trust our plumber services like drain and toilet repair! Contact us today to learn more, and let us know how we can assist with your commercial plumbing needs.